When it comes to gourmet delights, Tasmania is a foodie’s paradise: clean, crisp air; rich, fertile soil; and pure waterways nurture Tasmania’s magnificent selection of fresh food, wine and spirits. Hop aboard a ferry or plane and get yourself down to the island state this autumn. Tasmania has a bounty of gourmet food experiences on offer, and so much to see and do in all corners of the state. Take your time, though; Tasmania is a place you need to savour, a place in which to slow down and rejuvenate. But if you’re feeling adventurous, the wild natural environment is waiting to reinvigorate you and get your blood pumping. Tasmania’s east coast is where the fertile rolling hills of pastureland, orchards and vineyards meet the mighty Tasman Sea. It should therefore come as no surprise that a tour of the east coast will delight your tastebuds – it’s simply a matter of choosing where and what you want to savour. Farmers, artisans and growers flock to the area and offer a cornucopia of delectable produce, including cheese, fruit, nuts and fine wines. Hobart’s gourmet food scene has exploded in the last few years, as big-name chefs have started to notice Hobart’s quiet charms and Tasmania’s fresh agricultural delights. As the hub of Tasmania’s foodie scene, there are plenty of smallgoods, cellars and specialty food stores to visit when you’re in town. Wake up early and visit the Salamanca Market, held each Saturday morning on historic Salamanca Place next to the Hobart waterfront. With only 700 inhabitants, Bruny Island feels very remote and takes you straight into a wild Tasmanian experience. Taste fresh oysters straight from the ocean, or try some game meat such as possum, hare or rabbit. If you’re after something to quench your thirst, try out the local whisky or wine, and pair it with some local cheese. The mighty west coast is brimming with history and heritage. It takes a bit of effort to get there, but it is well worth the winding roads. 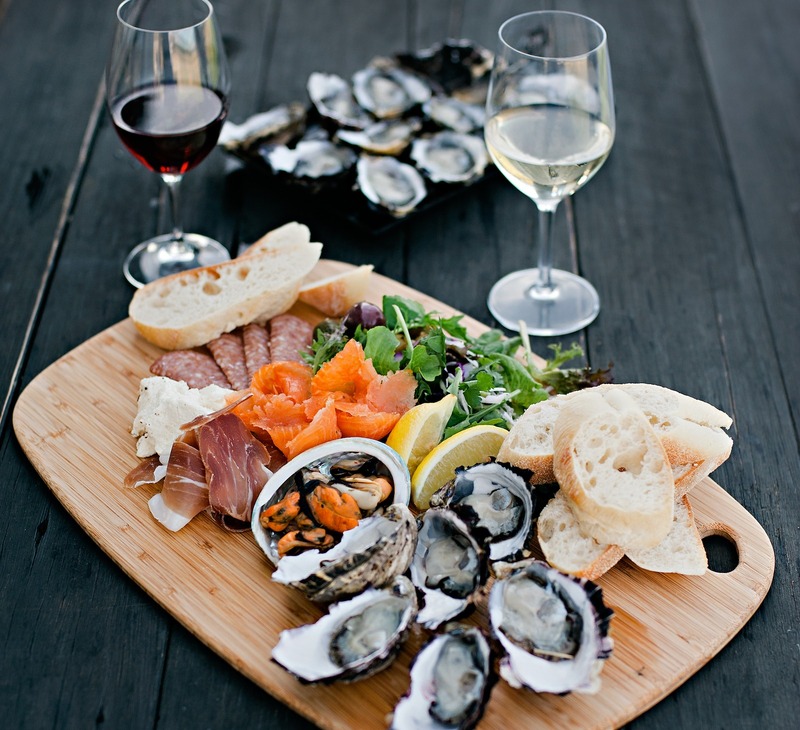 Fresh seafood, including ocean trout and salmon, is the main gastronomic delight around here, and at Queenstown – the largest town along this coastline – there are several great fishing lakes if you want to try your luck. From Strahan, travel up the coast through the spectacular countryside to the north of Tasmania, where the mountain ranges settle and give way to beautiful rolling pastures – offering up even more cheese-tasting opportunities. The town of Burnie is well worth a visit. The area boasts exquisite chocolate, fudge, fruit, vegetables, wine and whisky. If you’re arriving on the ferry at Devonport, you’ll find yourself spoilt for choice for food adventures as soon as you step off the boat.